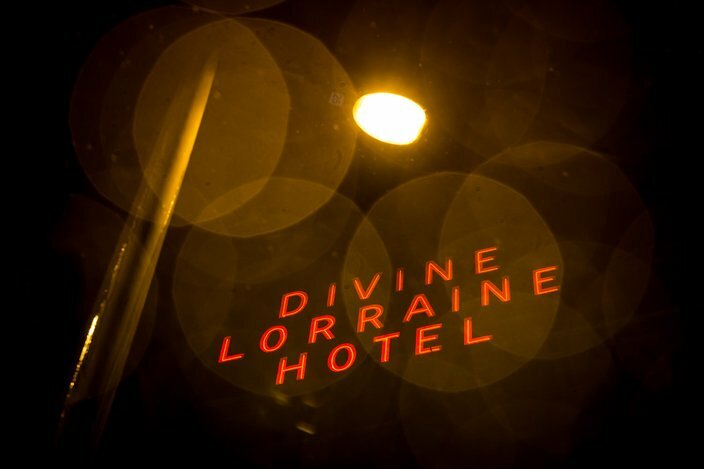 The signs on the north and south side of the historic Divine Lorraine Hotel were re-lit Wednesday, Nov. 9, 2016. 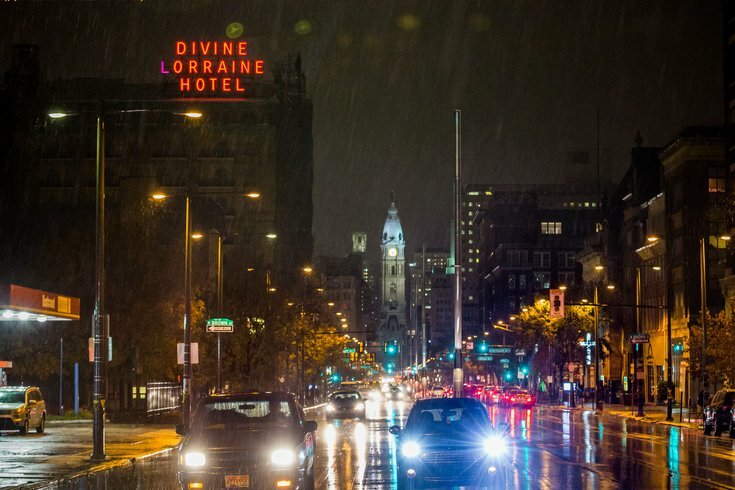 In a historic event, the two lights that sit atop the Divine Lorraine Hotel glowed over North Philadelphia once again Wednesday night despite the rain. 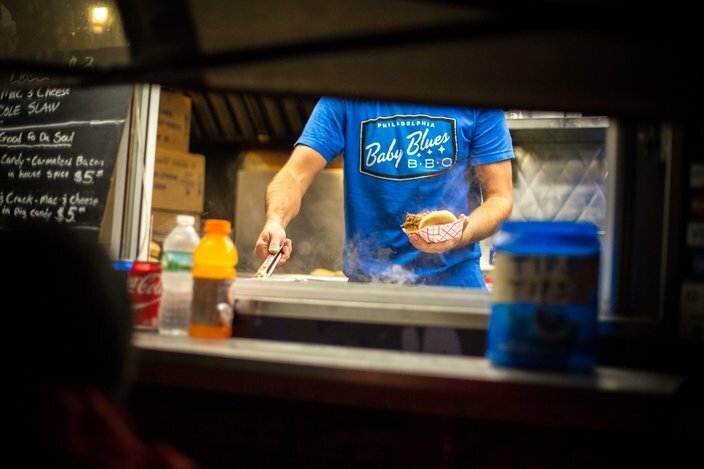 EB Realty Management, the hotel turned apartment building's Realtor, held a block party-style celebration to kick off the event, postponed numerous times since it was initially scheduled in September. The Divine Lorraine was once a grandiose, 19th-century hotel that's being renovated by developer Eric Blumenfeld and Billy Procida, CEO of Procida Funding & Advisors, into a mixed-use facility that will have 100 residential units, retail space and a restaurant on its ground floor. Redevelopment of the project began in September 2015. 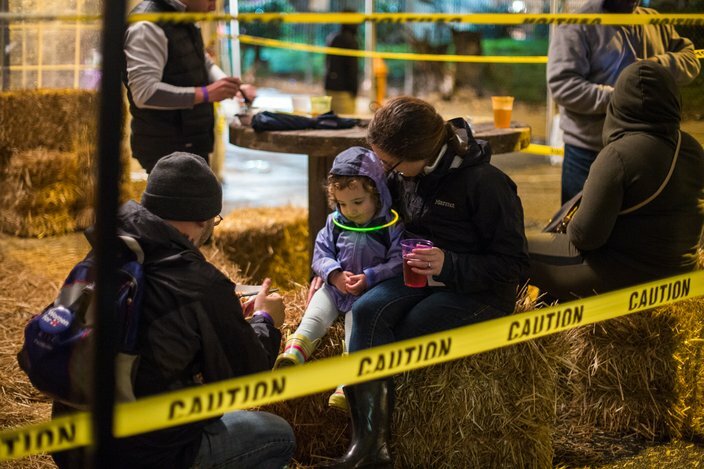 Wednesday night's event began at 4 p.m. until about 9 p.m. Proceeds benefitted Big Brothers Big Sisters SEPA, according to Marie Assante, a spokesperson for the event. 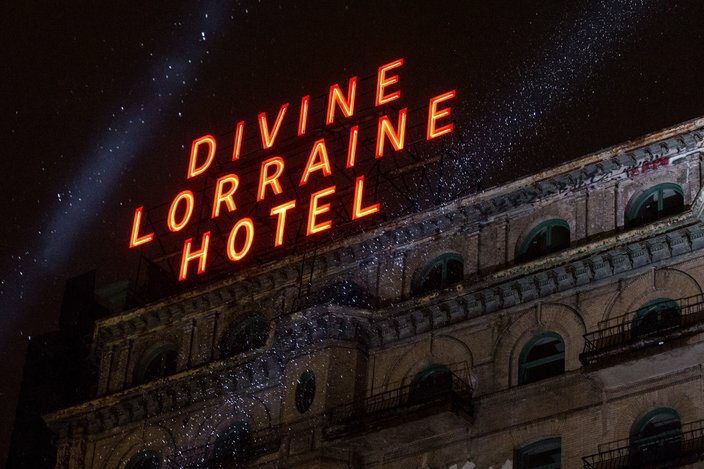 The sign on the historic Divine Lorraine Hotel was lit Wednesday, Nov. 9, for the first time since the redevelopment of the building began. 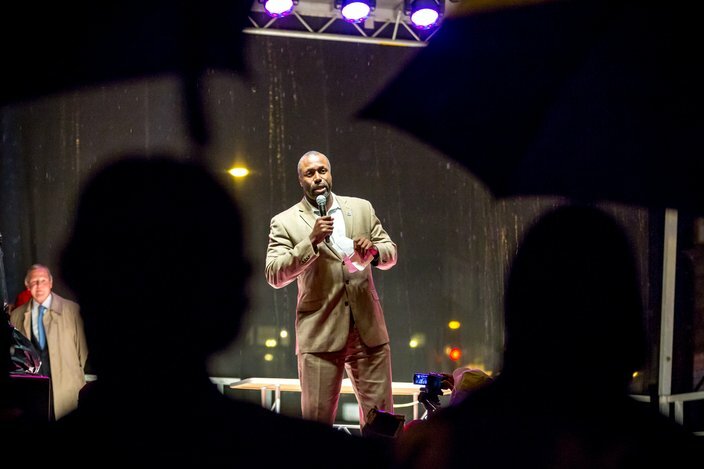 Although attendance was light, many people came out and made the best of the situation despite the rain. The signs were lit slightly after 6 PM on Wednesday, Nov. 9. 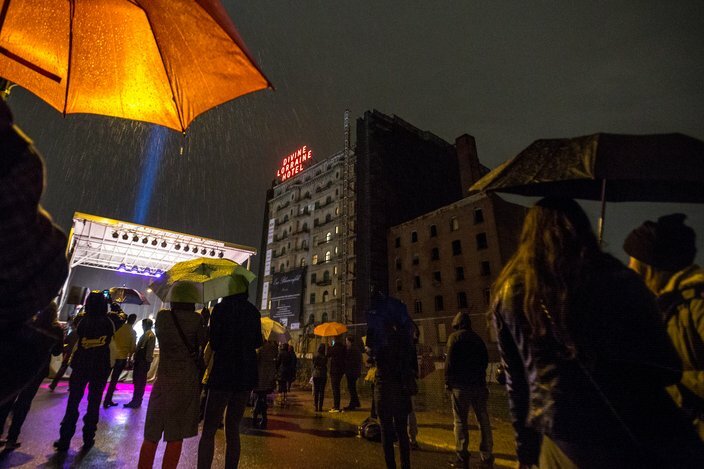 As part of the events block party, a row of food trucks, a beer garden, and various other vendors lined Melon St., which borders the Divine Lorraine to the south. 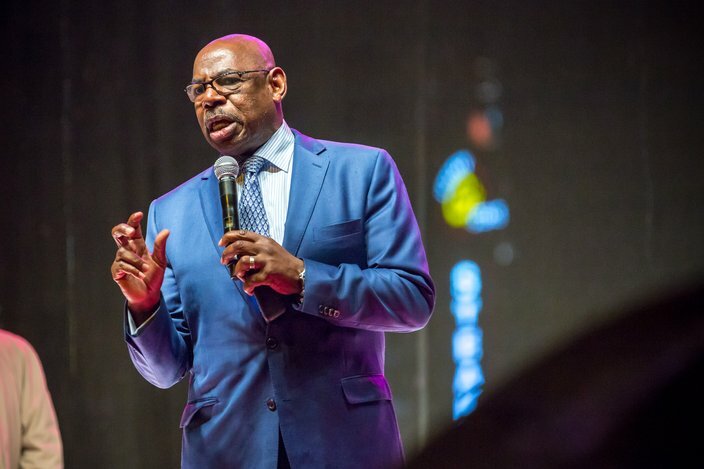 Marcus Allen, Chief Executive Officer of Big Brothers Big Sisters spoke at the event, Wednesday, Nov. 9, 2016. Also in attendance was former Eagles running back, Herb Lusk.